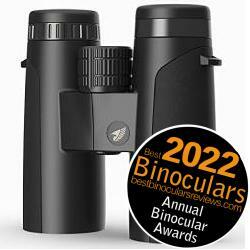 A new player in the high end optics market is German Precision Optics, who rather like Best Binocular Reviews (BBR), shorten their name to GPO! As their name suggests, GPO has its roots in Germany, where all of the designing and engineering takes place, but they also have a North American division based in Midlothian, Virginia. Firstly there is Richard Schmidt, who was the CEO at Zeiss GmbH and who now owns and runs the German division of GPO GmbH which owns the GPO brand. Then there is Michael Jensen, who had held the post of president at Zeiss Sports Optics, LLC and who now heads up GPO USA. GPO have what they describe as a "unique corporate structure" that they say enables German Precision Optics to produce superior quality instruments with even better features, but at the same sort of prices that you would expect from the other top tier brands from Germany and Europe (I assume they mean companies like Zeiss, Swarovski and Leica, etc.). Or the other way of looking at it, they can deliver instruments of a similar level to the other top end brands, but at a lower price. The interesting one for me is that they highlight the use of more than one extra-low dispersion element within the lenses. 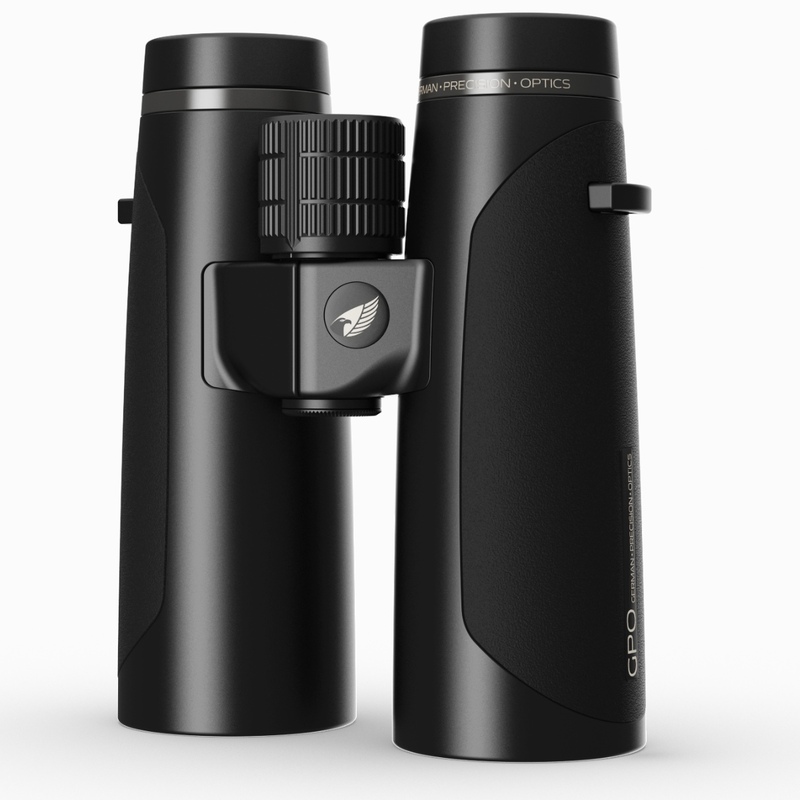 GPO call this their "Double HD glass technology" and they say it further reduces chromatic aberrations and that whist this is a feature commonly used within high end photography lenses, it has now been brought to the field of sport optics. I am not actually sure if or how many other brands do this with their ED lenses as almost none go into details, but whatever the case it seems that it must be an improvement on their standard ED lenses used on their cheaper Passion ED models (see below). 8x42 375ft 19.5mm 6.5ft 29.3oz 6.1x5.1x2.2"
10x42 336ft 17mm 6.5ft 29.6oz 6.1x5.1x2.2"
8.5x50 315ft 19.5 9.8ft 33.2oz 6.9x5.3x2.5"
10x50 309ft 19.5mm 9.8ft 33.9oz 6.9x5.3x2.5"
12.5x50 286ft 16.5mm 9.8ft 34.1oz 6.9x5.3x2.5"
Whilst still very high quality, the Passion ED series sits just below that of the HD series. Apart from design differences to exterior and a range of available colors, the main differences (besides the cost) is the use of "normal" ED glass lenses rather than the Double HD lenses that I discussed above. 32mm Passion ED's come in four different color options which include "desert sand", "charcoal black", "deep green" and "dark brown earth". 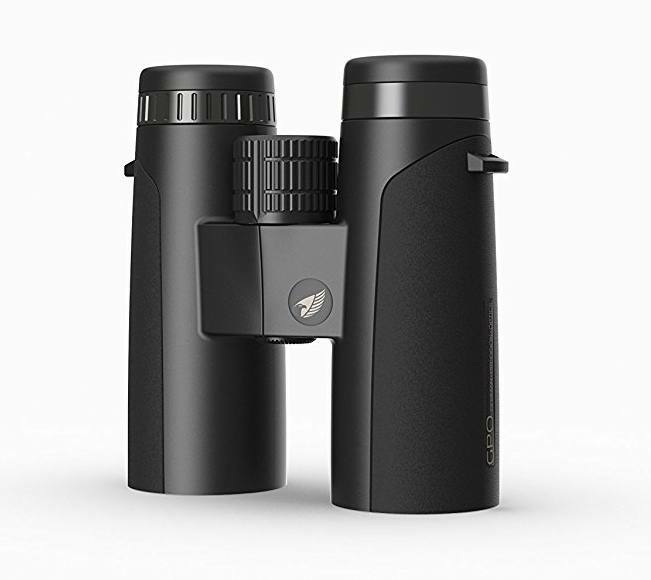 Another difference between these cheaper ED models and that of the HD's is that I think these have the diopter adjuster located on right eyepiece in the usual position as there is no mention of it being lockable and on the focus wheel in the description. 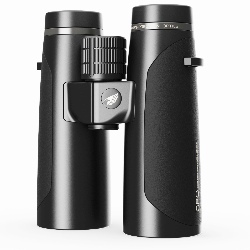 8x42 341ft 19.5mm 8.2ft 23.2oz 5.7x5.1"
10x42 314ft 16mm 8.2ft 24oz 5.7x5.1"
Below are my full GPO binocular reviews: View >> All the GPO Binoculars that I have reviewed.